Of the many shows at the fabled 112 Greene Street gallery—an artistic epicenter of New York’s downtown scene in the 1970s—the Anarchitecture group show of March 1974 has been the subject of the most enduring discussion, despite a complete lack of documentation about it. Anarchitecture has become a foundational myth, but one that remains to be properly understood. Stemming from a series of meetings organized by Gordon Matta-Clark and refl ecting his long-standing interest in architecture, the Anarchitecture exhibition was conceived as an anonymous group statement in photographs about the intersection of art and building. But did it actually happen? It exists only through oblique archival traces and the memories of the participants. 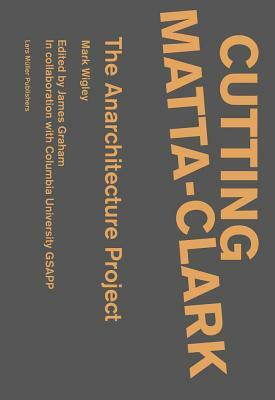 Cutting Matta-Clark investigates the Anarchitecture group as a kind of collective research seminar, through extensive interviews with the protagonists and a dossier of all the available evidence. The dossier includes a collection of Matta-Clark’s aphoristic "art cards," the 96 photographs that were produced by the various participants for possible inclusion in the exhibition, and images from a recently unearthed video of Matta-Clark’s now famous bus trip to see Splitting in Englewood, New Jersey.